Winter in the back country of Canterbury, not far from Methven, in the South Island of New Zealand. The mountains are the Southern Alps - good for skiing and climbing. 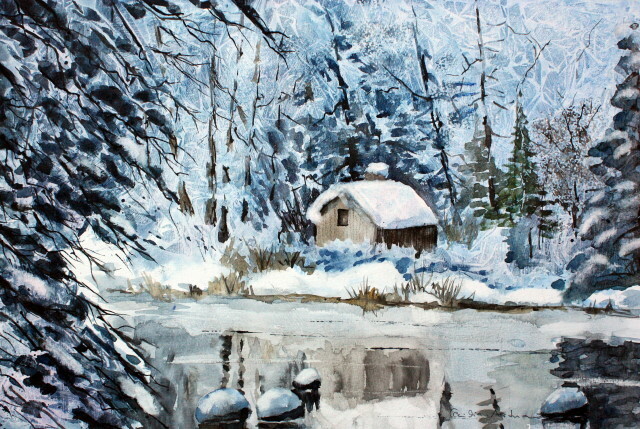 Painted last winter - it's the height of summer at the moment! 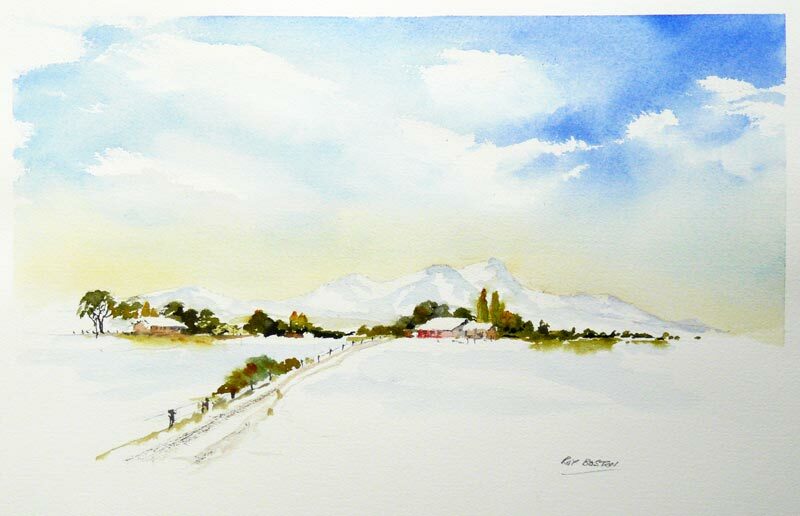 - temp 25 degrees C.
This is a small watercolor painting completely from my mind. 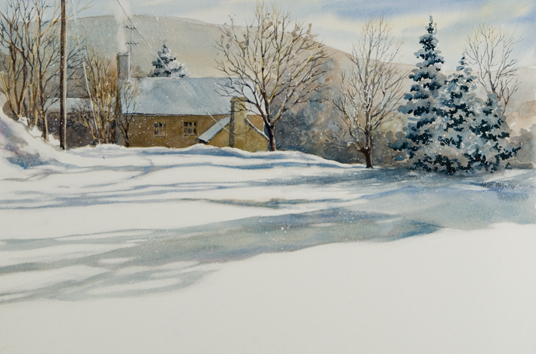 "Vercors, le Refuge du Clariant"
This is my 2nd attempt at this pretty wintery scene in NYC -- the first one got sold immediately, and my family all groaned because they wanted it. 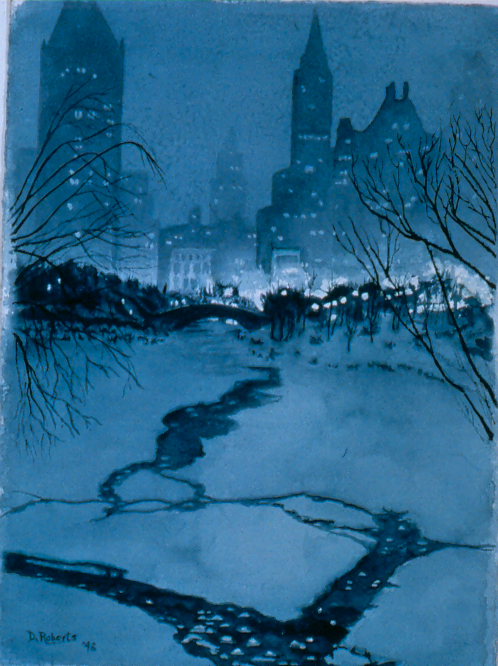 Ergo, a similar one that I from which I made giclees. Probably looks a lot like this today! We have been sprouting windmills here in upstate NY. 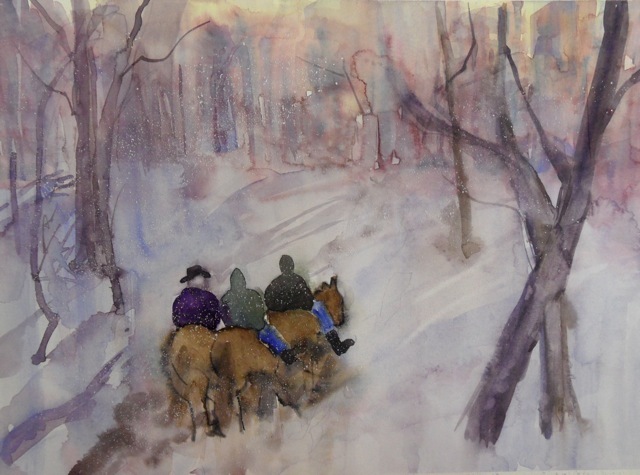 I am drawn to paint them. 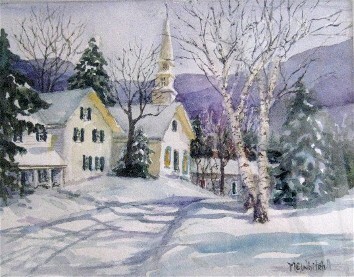 Inns in Vermont often have winter vacation specials for the Holidays. 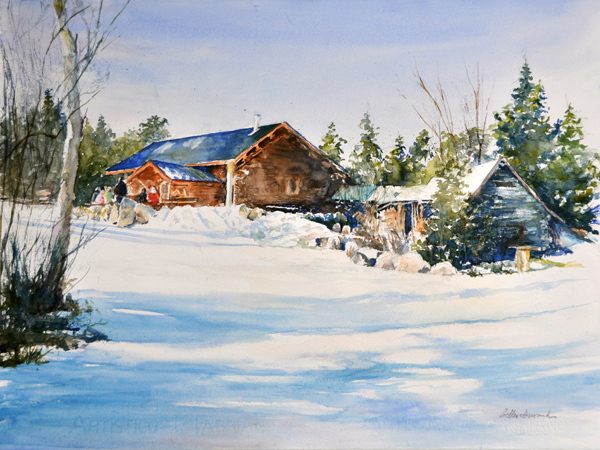 Painting was sold but I used photo of it for Christmas cards. I attempted to get as much color as possible into this winter scene. 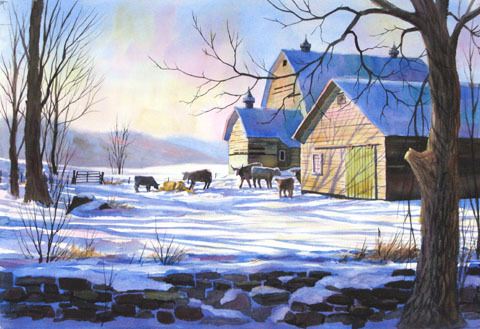 It was an actual scene in PA that I sketched and took photos for details. 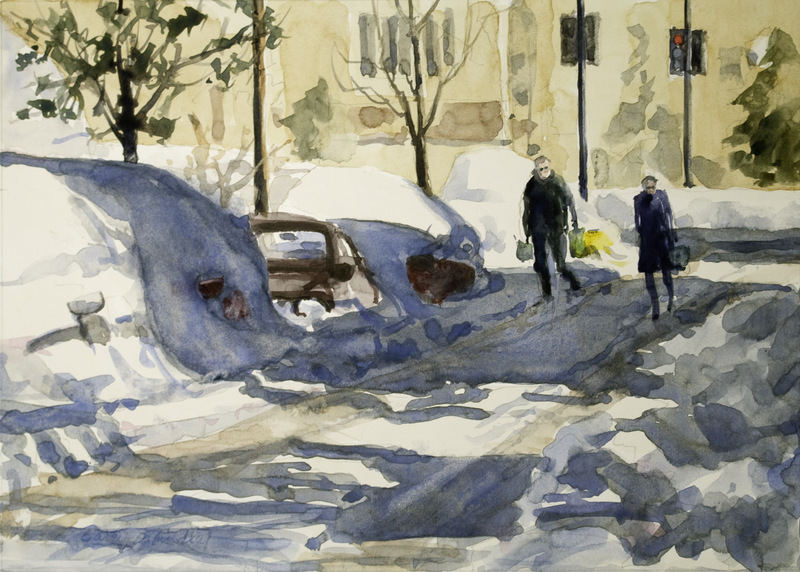 "Washington Side Street, After the Storm"
This was painted after hiking around my neighborhood in the wake of last winter's big DC snowstorm. Our apartment is in the building at the end of the street (Devonshire Lane, just off Connecticut, near the National Zoo). One of my older paintings. 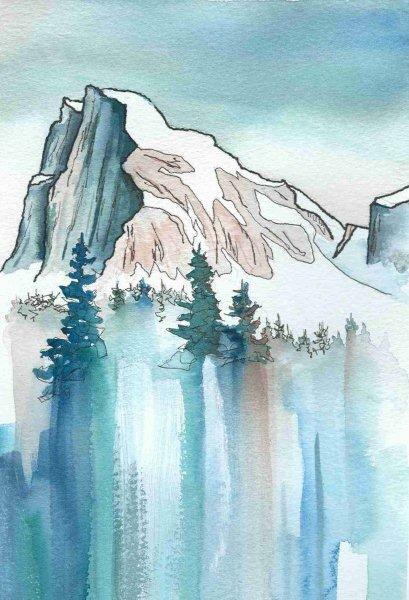 I covered watercolor paper with gesso and startet with a wash of blue color using plasic wrap to create texture. Building up more and more color and with cotton swabs taking color away again to create snow. 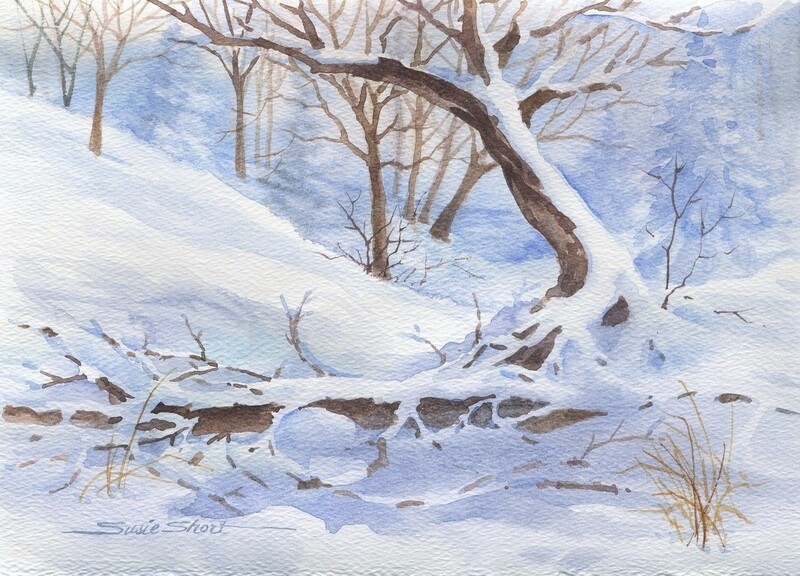 Painted from a photograph taken some years ago after a substantial snowfall in Harpers Ferry West Virginia.